"It’s all about the boys and I’m so proud of them yet again,” said Ainsworth. “They were fantastic. We have a game plan and we had a full week to work on it, and I thought we played really well in both halves. We nullified Barnsley’s threats and we could have had two or three goals in the end, so hopefully Barnsley give us credit for how we’ve played because little Wycombe have turned the form guide on its head once again. 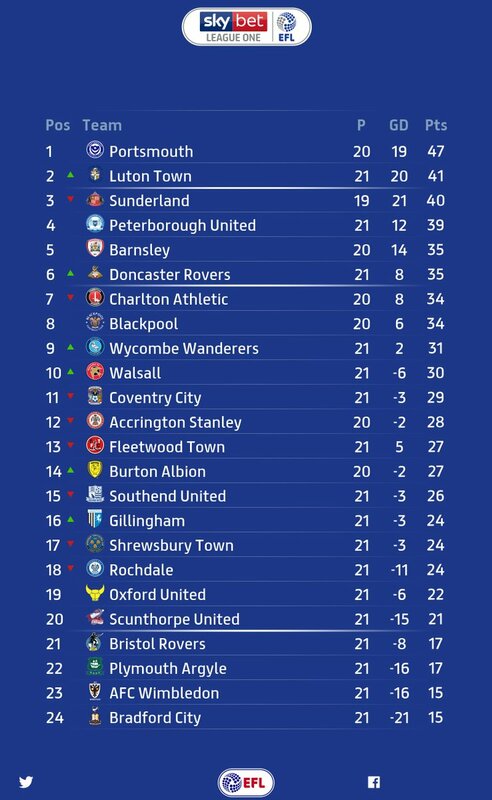 Wanderers up to 9th spot in 'League One' - just four points off the play-off zone and now 14 points clear of the relegation places with a record of 31 points from the opening 21 games. The victory equalled Wanderers' record of six consecutive victories at home in the Football League. The previous six match run was during the 1993/94 season in 'Division Three' under Martin O'Neill. Wanderers have never recorded seven consecutive home victories in the Football League. Next home match versus 23rd placed Wimbledon Saturday 22nd December 2018.